Spring Sports have come to an end so Spring Training officially begins on Monday. The student athletes are expected to be at practices and should not schedule appointments or work on homework during Spring Training. Spring Training is on Mondays and Thursdays, 2:00 – 4:00 p.m. at Davidson Stadium. 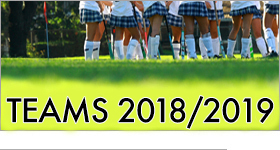 NHFH Boosters is interested in taking a group of girls to the Stanford Field Hockey Overnight Camp, July 18 – 21. The Stanford Field Hockey Camp will focus on basic and advanced skills, position play, field hockey fundamentals and team strategy. Located on the beautiful Stanford campus in Palo Alto California, this high tempo skills camp provides technical teaching and skill development, in a fun yet competitive environment. Participants will experience a combination of skill development and game play situations in an intensive format with multiple repetitions. Participants stay in the dorms and eat meals together on campus at Stanford University. The Newport Harbor Field Hockey Boosters is working out a way to help lower the cost of the camp; the amount discounted will depend on how high the interest level is. If you are interested and able to commit to that time frame, please email newportharborfieldhockey@gmail.com by Tuesday, May 15. We will send out an email on Wednesday with instructions for registration. For more information on the camp, click here.